Last week I had four adventures which gave me a new perspective. The first at the Christmas Market in the close of Winchester Cathedral, the second at lunch in the Oriental Club in London, the third a tour of Brixton and the fourth a visit to Coal Drops Yard at King’s Cross. Winchester is a mediaeval wonder. 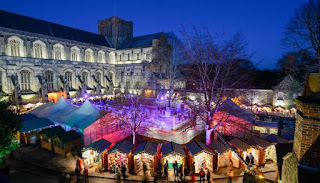 The cathedral itself enormous and powerful, the Christmas fair a brilliantly created commercial event with over 100 wooden chalets selling craft products, an ice rink and a variety of food and drink. It gets up to ½ million visitors in the month it’s on. The only thing missing for me was the smell of mediaeval England. I wanted jesters, dwarves, lute players, stocks, gibbets and bonfires for heretic Christians. My wife said I’d gone mad and she could do without the smell thank you. The distant past. 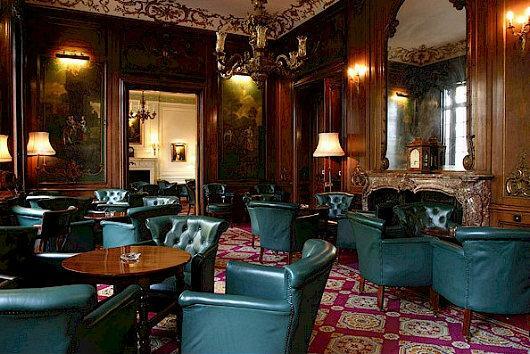 The Oriental Club in Stratford Place is a huge, palatial club of the sort found in Pall Mall and St James. It’s full of colonials and ex Foreign Office mandarins gravely discussing affairs of state and the sending of gunboats. Lytton Strachey said “it has the best cellar in London, by Jove!” It still has I gravely noted. The recent past. I last visited Brixton in 1995. Much has changed. There’s a magnificent cornucopia of fruit, vegetables, unusual fish and Halal meat in the market. It’s a comfortable third world. It’s like being abroad but at home – a strange conjunction. 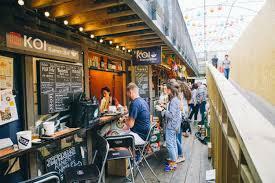 And Pop Brixton – a series of multinational pop-up eateries is a gastronomic joy. Kricket started here. It serves splendid Indian small plates and it has restaurants in Soho, White City and back in Brixton, this time with a proper restaurant. A real world. Finally Coal Drop Yard at Kings Cross. It opened recently and the workman are still in. The unusual buildings dating from the 1850s were built to transfer coal from rail wagons to road carts. It’s been turned into an architectural wonder alongside the Regents Park Canal with those original Victorian buildings brought screaming into the 21st century. Shops include Christopher Raeburn, Vermuteria, Paul Smith, Tom Dixon. Interesting this one – there’s a shop, ‘factory’ and HQ all under one roof, with a roof terrace. Coal Drop Yard is vast. 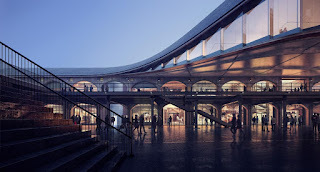 Dubai meets Victorian England meets the first retail complex on Mars. Comfortable? Hell no, it’s a big echoing place that smells of money (no, not money - bitcoin). Nothing quite makes sense. The emptiness. The wealth. We had a drink at Asaf Granit’s Coal Office. Unlike the rest of the place it was great value, with a better ambiance and astonishing service. Coal Drop Yard’s the future. Bring your platinum credit card (not to the Coal-Office though.). Last week I spanned 1000 years. From ye olde England to Imperial Britain to melting pot UK to Global shopping centre. I felt like I’d seen a revolution and it was a revelation. It was also rather exciting.